I’m working on my next post, in the series of 9 questions related to politicians’ use of social media. It’s about being ‘local’, and I’m probably going to complete it today. [As expected, the whole 9 questions thing is turning into a bit of a marathon]. But whilst thinking it through this morning I had a vivid memory of an experience I had when I was probably about 7 or 8 years old, which changed my ability to see the world through other people’s eyes. I’m sure lots of people, perhaps everyone, have had the equivalent moment. But it seems particularly relevant to thinking about what it means to be, and to represent, ‘local’. It’s also caught up, somehow, in my reaction to the reporting about the Ebbsfleet ‘Garden City’ over the last few days, and the suggestion that shifting power from the local authorities to a development corporation is necessary enabler. I still have a clear picture in my head of the moment when the world did a kind of 360 on me – something I felt almost physically. I was walking around the corner at the bottom of Park Drive, the road where I’d spent all but the first few months of my life, into Manchester Road. This was in Stocksbridge, a steel town in a valley about 10 miles west of Sheffield. Manchester Road bisects Stocksbridge on its way from Sheffield to… yes… Manchester. To its north is [was] mostly the steelworks, and up steep hills to the south lies the settlement. As I turned the corner a car came past heading west. I glimpsed, but didn’t really get to focus on, a face looking idly back at me from the front passenger seat. At that moment for some reason I had a vision of myself sitting in that car, but passing through a place called Mottram – further to the west. I thought about how Mottram, and the pedestrians there, looked to me when we drove through. I had this dizzying sense that this was what Stocksbridge might look like to that person, and that this was also what I looked like. “Dizzying”? Yes, because it wasn’t just some idea or sentence like the ones I’m now writing. It was something I experienced directly, like an almost out-of-body experience, for the first time. After it – everything felt different. I can only remember that it was different. I can’t remember what it was like before. 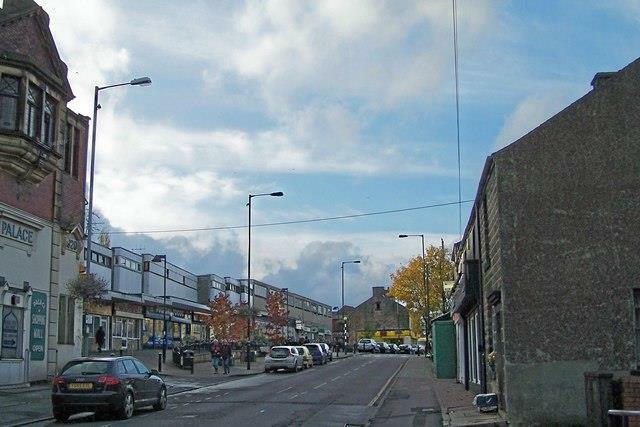 What I think it must have felt like before was that the uniqueness of Stocksbridge, this almost world-embracing normality and familiarity, this sense of how things are… was the same for everyone else. I must have felt that Stocksbridge was ‘here’ to everyone in the same way as it was for me. Underneath that, there must have been a more general feeling that the world looked, to everyone, exactly the way that it looked to me from where I was standing. That instant, of almost tele-porting inside the car and looking back out at myself, but at the same time being me looking out at a stranger in another town on the same road, must have taken this away forever. But what it gave me in return was a world in which, as for the anonymous pedestrian in Mottram, other people’s experience of their own home town was as unique as mine, and as inaccessible to me as mine was to them. ‘Place’ is very important to me. It is the beginning of how I see huge, abstract, intractable political questions become tractable and meaningful on a human, personal, level. This means applying these questions to a particular Place. It means growing them back out of that Place, to check them against the abstractions for realism and humanity. But to do that you have to be able to recognise the relationships that people have with Places, and particularly with Places that have always been, or have become, important to them. Above all it’s about recognising what “home” might mean. Ebbsfleet – which is both a new and an old name in these parts – and Dartford, Swanscombe, Greenhithe and Stone, are all ‘somewhere else’ to most of the people watching the news reports. But to thousands of others they are already “here”, “home” or “my place” in ways which are special and peculiar to them. To many thousands more the new settlement will be somehow expected to become “home”. Every decision made, by local people, institutions and businesses or by people from the other end of the country, needs to find a way to take account of that. ← When Councillors take to the tweets. Part 2.